I returned to North America from El Grande Sur in time to grab my van, change the oil, and drive to California. 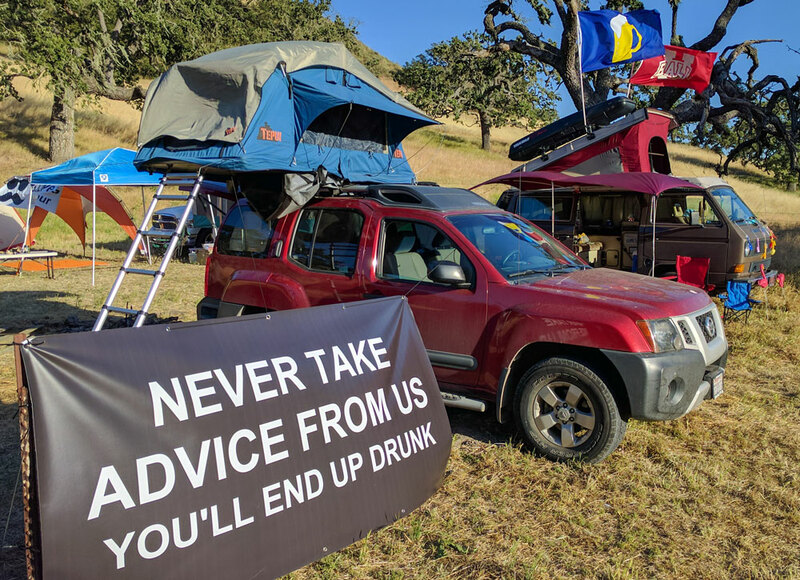 I arrived on Tuesday night and camped with the other crazy people who’d arrived early. The 4 day race, which I’d registered for, started the next day, so I properly lubricated my joints with PBR. Born to Run is the kind of place you want to run the 50K, if that, so you can experience the celebration of running in all it’s glory. But with Race Across America coming up I knew I needed to focus a little more on training, and a little less on celebration, so the 4 Day Race it was. The 4 Day Race started and I was immediately in first place. Whoa…not good! Admittedly, I wasn’t planning to run for the FULL 4 days, I was just hoping to run a few hours each day and keep my training up for RAAM. That being said, there was absolutely no reason I should be leading these serious 4 day athletes in the first 10 mile loop, so I chilled out and ran with Frank, a Wisconsinite originally from Ecuador, and had a great time bonding over the dirt trails and fox tails. On Thursday I woke up early (before noon) and headed back out to cover more miles. Throughout the day more folks arrived and once I’d completed 3 loops, 30 miles, I called it a day. This 4 day thing was proving to be productive for my legs! As Friday’s events neared I knew that I needed to really cover some ground if I wanted to end the 4 day event with a respectable number of miles. Friday morning I made 3 more loops and, unfortunately, rolled into camp in time for the annual beer mile. As always, I’m sure there were other fun events Friday evening, but I don’t really remember. Saturday morning started early with the traditional shotgun followed by blasting mariachi music, but this year the mariachi was live! “Wake up, wake up, wake up, wake up, wake up!” Everyone struggled out of tents, vans, campers, and bushes to assemble like a group of haphazard runners not quite sure what was going on. I’d already completed 80 miles on the course over 2.5 days and made a goal of only 20 more miles until I could call it quits for the weekend. Blue is bad… It’s my own damn fault… Yada yada yada… And we’re off! It was a gorgeous day for a race, and luckily I wasn’t racing. I strolled through my final 20 miles running with friends, and actually finished with Frank who I’d hadn’t run with since Wednesday afternoon. 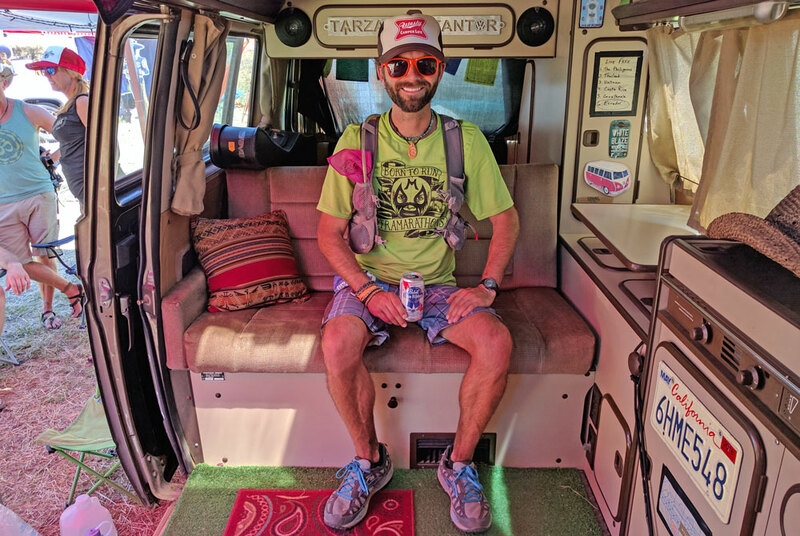 Lots of friends were finishing fast 50K’s so I grabbed a PBR and camp chair to celebrate my 100 miles in just under 3 days of running. Sure, I could have spent the next 24 hours knocking down a few more laps…but really, why? The rest of the Born To Run antics were about to start. Saturday afternoon was a blur of activity, friends, celebrations, cheers, and music that faded into the evening, along with my memory. The Saturday night festivities at Born To Run truly are what it’s all about. 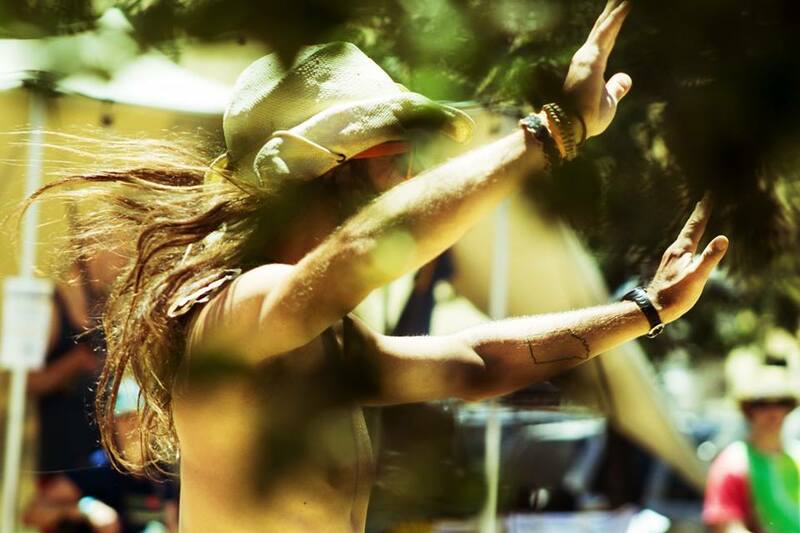 A celebration of running, our tribe of misfits, and life in general. 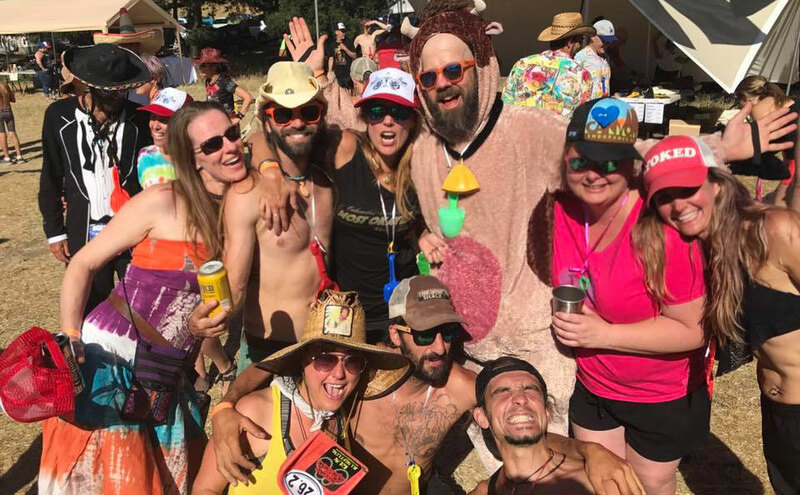 You’d be hard pressed to find such a weird happy mass of humans anywhere else on earth. Sunday was of course rough. First, Saturday was a little too much fun. But even worse, everyone was going home. For all the family love exuding from Tuesday through Saturday the final day is always bittersweet. 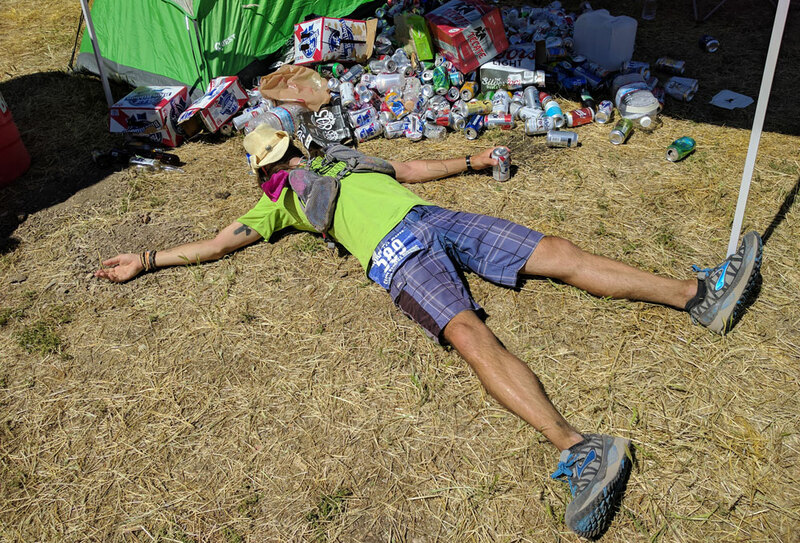 Friends were packing up to leave, several of us jumped in trucks to sweep the course, and finally we left the ranch with no proof that the “Burning Man of Ultrarunning” had ever existed. 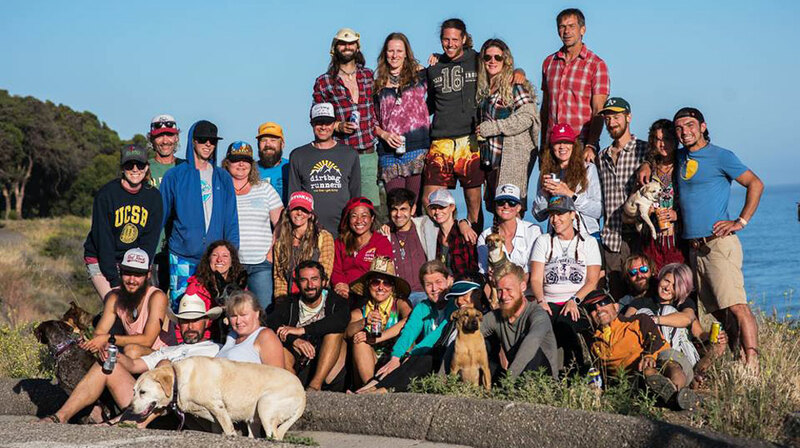 A group of us camped one more night and we reconvened for a little less extravagant evening on the Pacific Coast. Exhausted, filthy, and fulfilled we sat around the campfire and pieced together what had actually happened at the ranch. Monday morning we dispersed, heading back to the ‘real world’ counting down the days until the next installation of BTR. It’s hard to explain how important this annual event is to me. The one word that always seems to be fitting though is family. PS – A HUGE thank you to Luis Escobar for putting on this event. We’d all just be a group of smelly degenerates if it weren’t for you! PPS – Yeah yeah Luis, we are just a big group of smelly degenerates, but it’s much better because you’re one too!